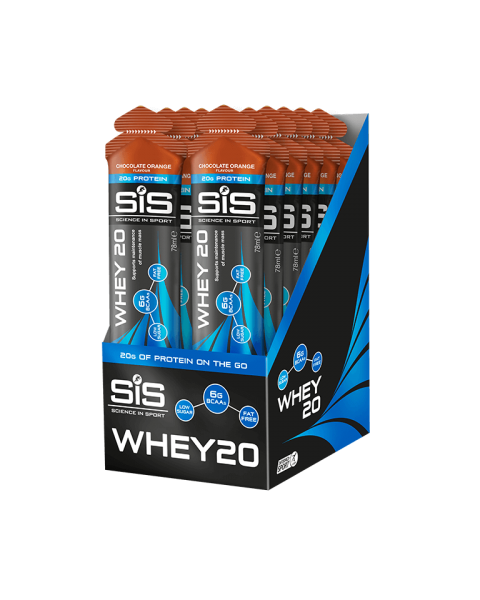 High quality protein in an easy to consume format that you can carry around in your bag with ease - WHEY20 is the biggest innovation in the protein industry in years. We're incredibly proud of WHEY20 - it tastes similar to a flavoured yogurt, but you don't need to keep it in the fridge and it's packed full of high quality protein - 6g of BCAAs, 20g protein and low in calories. If you haven't tried it yet, it's time to give it a go and see what all the fuss is about!